We have been having some great fishing in Ucluelet and the surrounding areas. 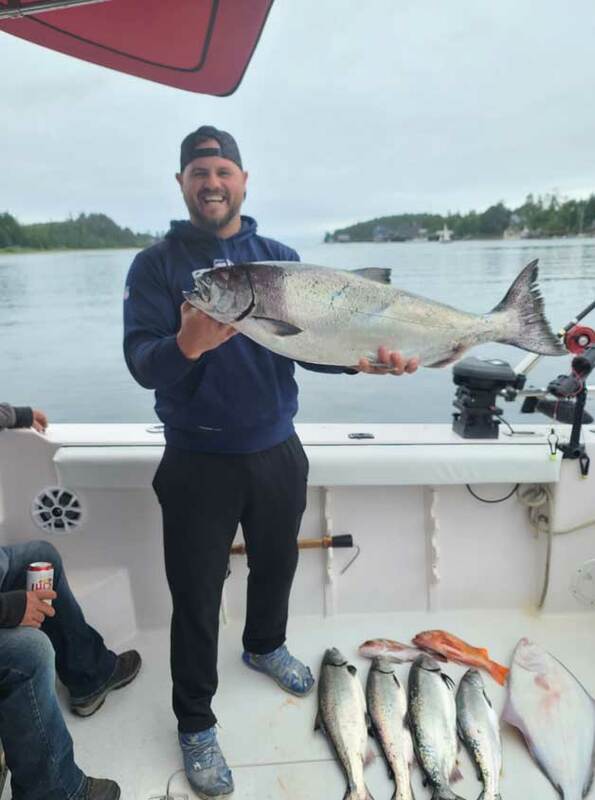 Big Bank has been a steady producer of Salmon and Halibut plus Wya Point has been producing some quality chinook Salmon in the 20+ pound range. With more fish showing up inshore there is no need to do the long run offshore so that is nice. Anchoivies have been working well and the lure of choice has been Gibbs Skinny G No Bananas, Maverick and Herring Aid spoons. Alligator needlefish Hoochies (aka The Bubba Special) along with the Pistachio Glow Hoochie has been getting the job done as well. We have had reports of 30+ pound Salmon being caught in the Barkley Sound so that is also great news. The balance of the 2018 season is shaping up to provide some great fishing! Feel free to email us at hotpursuitcharters@gmail.com or call us Toll Free at 1.844.468.3174. You can also stay updated on how the fishing is by checking out our Facebook page.